So a couple of weeks ago I posted a couple of photos on Instagram of a crafty project I had been working on. Well, I’ve finally managed to put it together into a post. Hope you enjoy! Ever since a long time ago in 10th grade I had a Home Ec. project. It was to collect at least fifty recipes and make either a personalized recipe folder or box. I choose folder. But .. it was ugly. 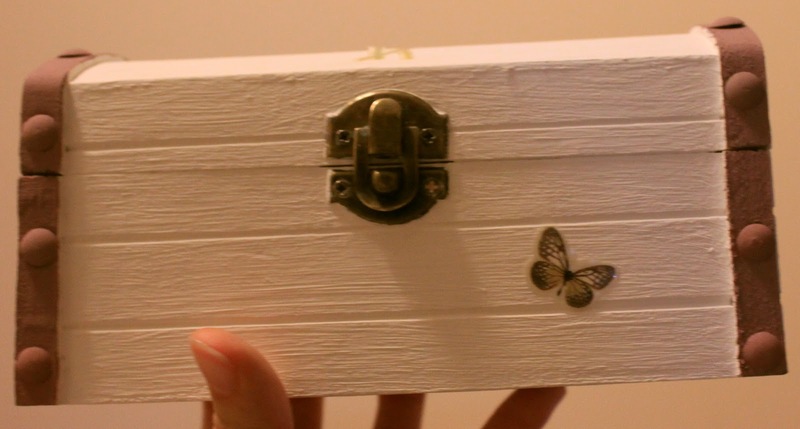 So when I saw this cute little box the other day, I decided it was time to do the project the right way and make a recipe box I could be happy about. *Modgey Podgey – I can’t help but say Modge Podge that way. It annoys the sanity out of me, but I still can’t help it. 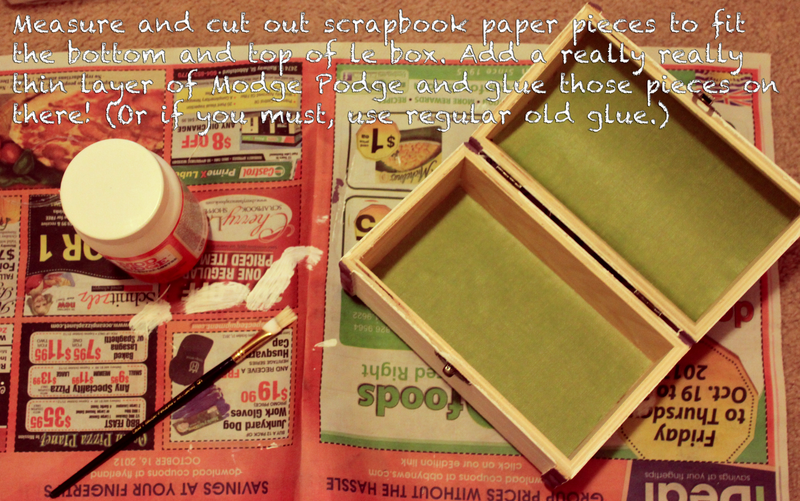 add a thin layer of Modgey Podgey (normal glue works fine as well), and glue the pieces onto the box. 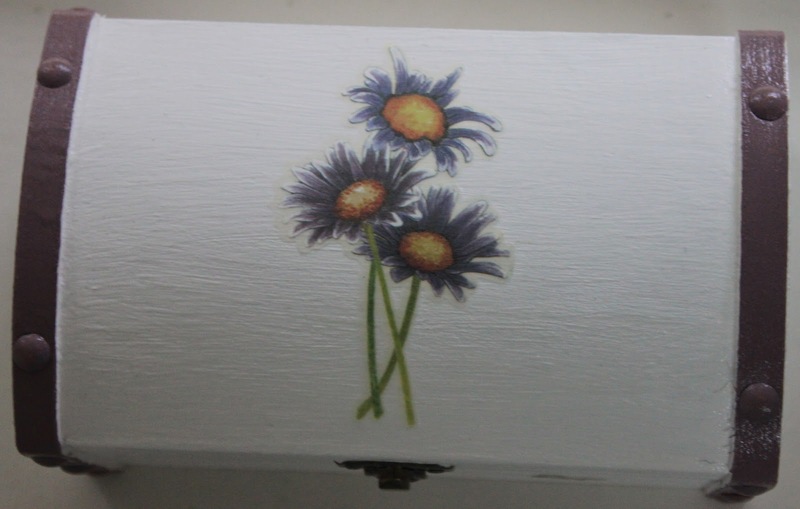 … measure the height of the box with the lid closed. Measure the inside width of the box. 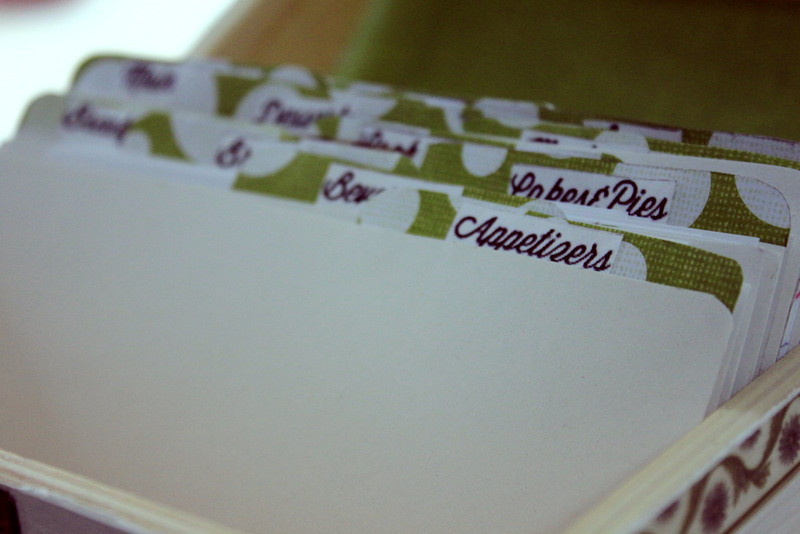 Choose a scrapbook paper that complements the scrapbook paper inside the box. 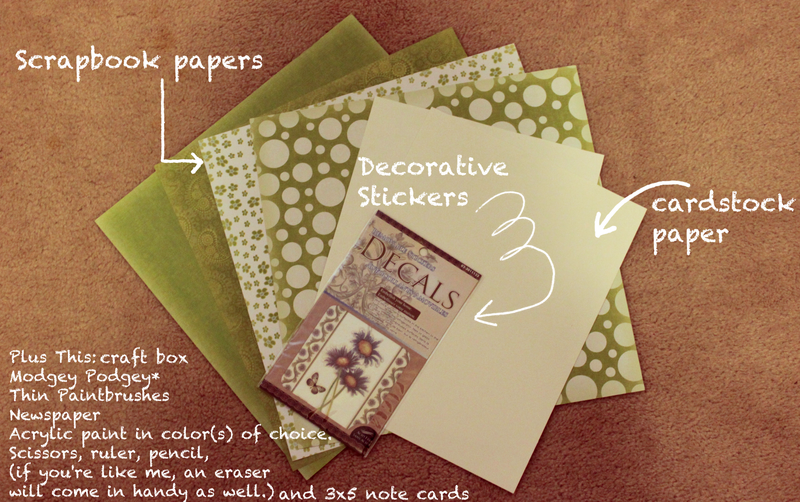 (You can also just use the same scrapbook paper!) The tabs I made were 2.5 inches in length and 1.5 inches in height. Print out the tabs with recipe categories provided here. 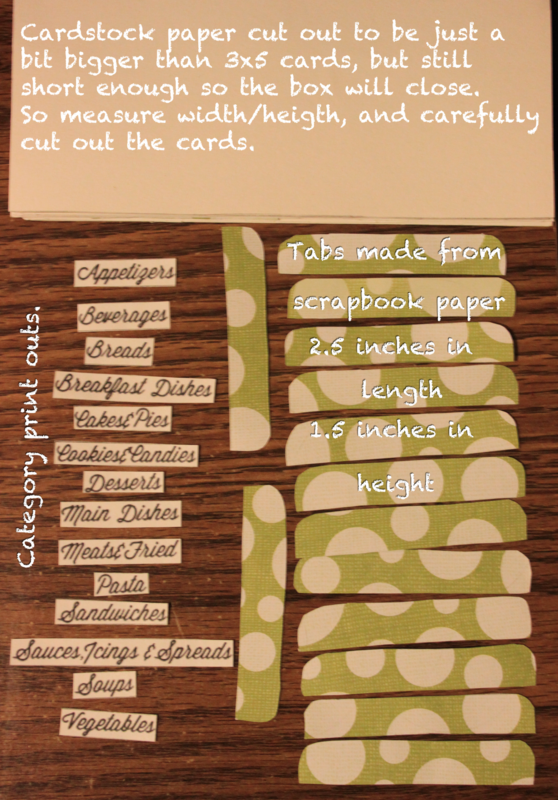 Cut them out and glue them onto the scrapbook paper tabs. Next glue these onto the cardstock paper. 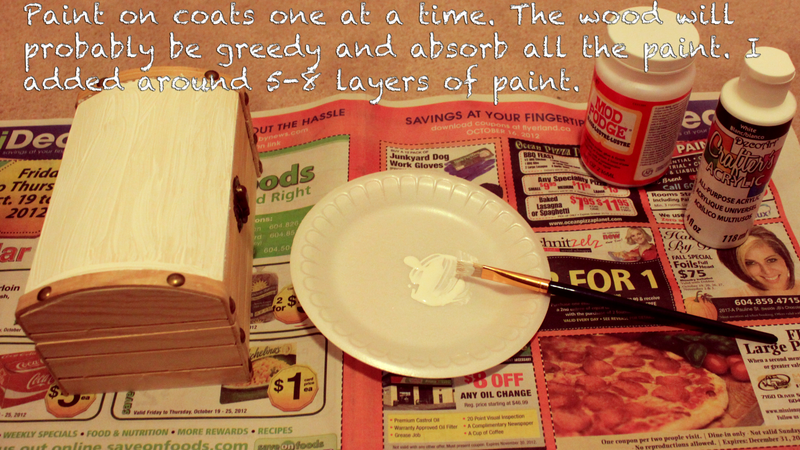 Mix the paints to get the right tone you want for the rims of the box. Or just start painting with your color of choice. I chose lilac to match with the stickers so I had to mix a bit of blue, red and white. See? How it’s kinda rough? 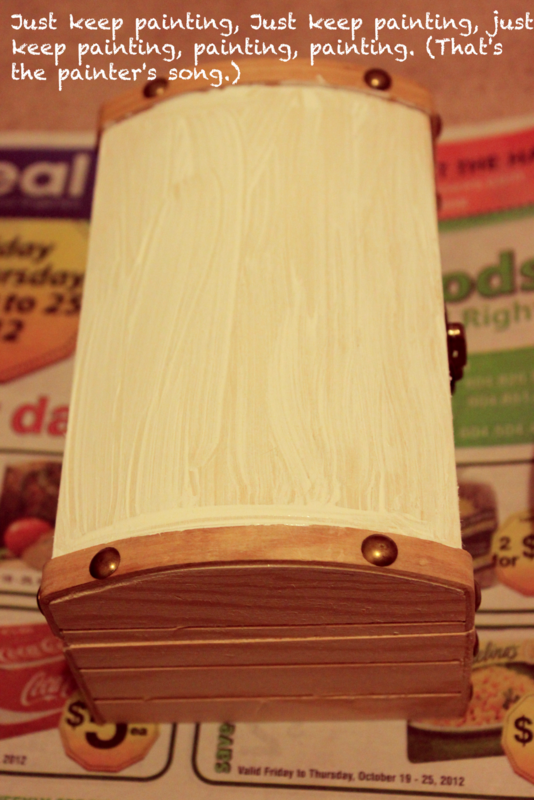 Smoother and shinier after two coats of Modgey Podgey! 🙂 I also found that before I added the Modge Podge the paint would stain when it touched any dark surface. So the Modge Podge acted as a great protection as well as finish. 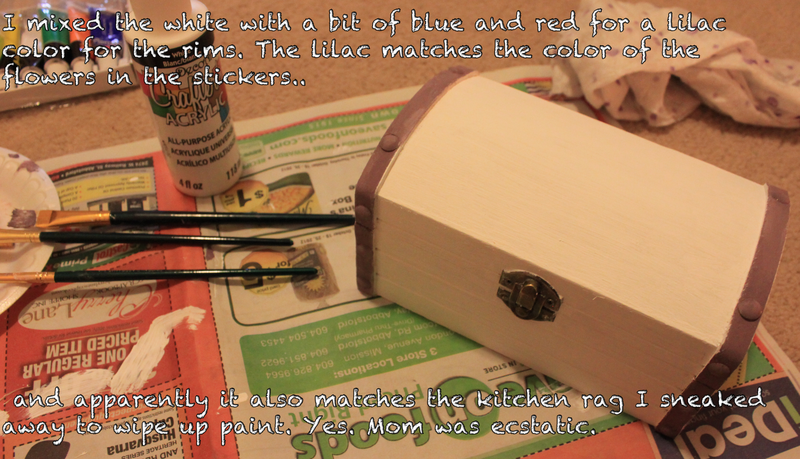 It’s mostly quite intuitive with cutting and measuring and glueing and painting. Do this in a ventilated area. Seriously. The fumes from the paint and Modge Podge are crazy strong. Take your time. This took me a couple of weeks to finish because I took my time .. and I kind of didn’t have any. But I really wanted to do this and needed something other than study study strain on the eyes type activities. 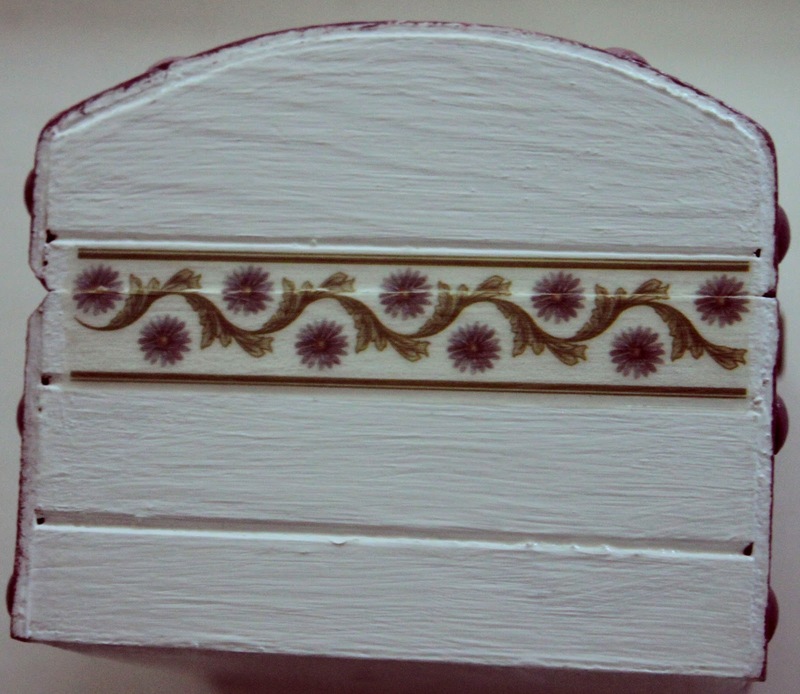 It’s an easy project and lots of fun, but it takes attention especially if you choose two different paint colors. You’ll want to add a bunch of recipes to each category, so here are a couple of websites: Foodgawker, Punchfork, AllRecipes, and Pinterest. It’s also lots of fun to trade recipes with people you know. That’s my favorite way to get recipes, especially when you travel. Have fun painting, recipe trading, and best of all cooking and eating! Previous Article Small Stones – November Three. Next Article The Apothecary’s Daughter. Maybe you could keep the ones you most use in this smaller box? Thanks Masked Mom. Hahaha that happens to me too. Oh I hate it when I lose a recipe! Especially online because I forgot to save the link..drives me crazy! Hahaha.. oh I'm sure you did..
Oh I didn't know it ruined brushes! Thanks for the tip. 😀 Definitely. I'm glad you enjoyed. Very cool, LT! I keep a giant binder because I am always forgetting what I know how to cook, and need something to refer back to. Unfortunately it's so big and wedged tightly in the pantry closet, so it doesn't get much use these days. Smaller is better! 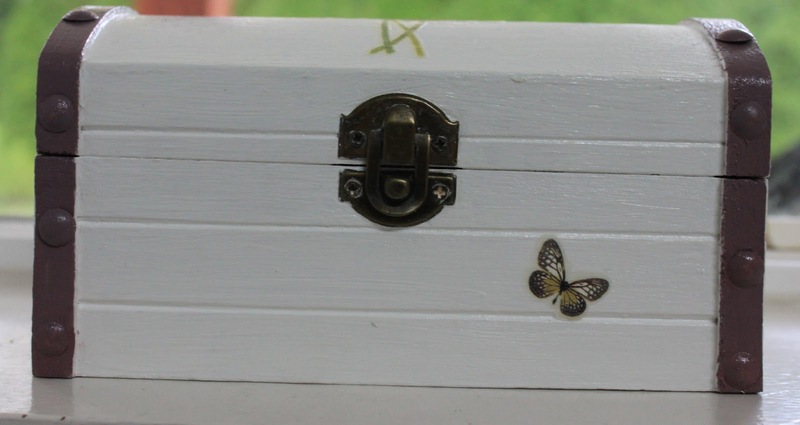 That would be such a special gift for a young bride, or kiddos going off to college or into the world. I bet it makes you smile every time you reach for a recipe. That is very pretty! I think I'll have to try something like that, currently all my recipes are either tabs on my browser or on scattered bits of rough paper on a surface in the kitchen. It'd be nice to organise them all rather than have a mini panic everytime I think I've lost a cupcake recipe only to find it had fallen under a unit. Impressive! Why didn't I get a crafty gene….WHY????? Love it! That would make a perfect gift for someone as well. 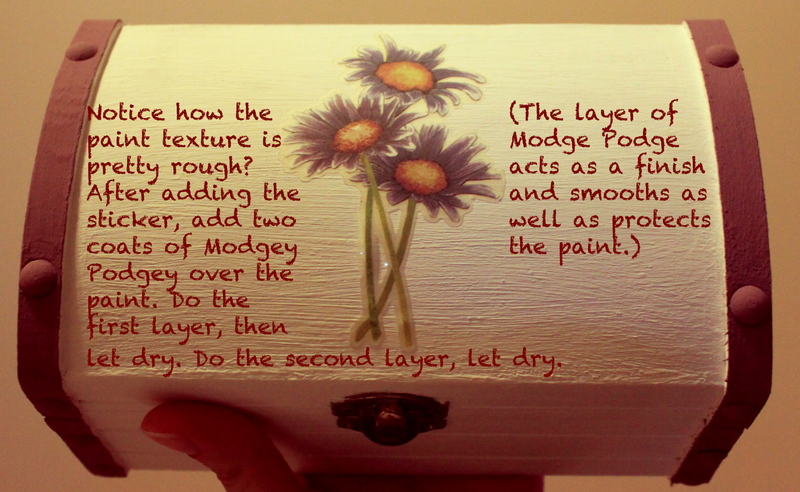 I use Modge Podge and use a foam brush as I find it really wrecks my paint brushes over time. I love the idea of sharing recipes with people. They are extra special and then you always think of them when you are cooking/baking their recipe. Thanks for sharing the how to. So nice! I especially like the custom tabs. Something like this would make such a nice holiday gift! It turned out great! I love seeing the finished project.